American Airlines (Dallas/Fort Worth) has ended its policy of extending special fares to family members who must buy a ticket a last-minute flight because of a relative’s death according to the Associated Press. The change at American now mirrors the policy at merger partner US Airways, which does not offer bereavement fares. 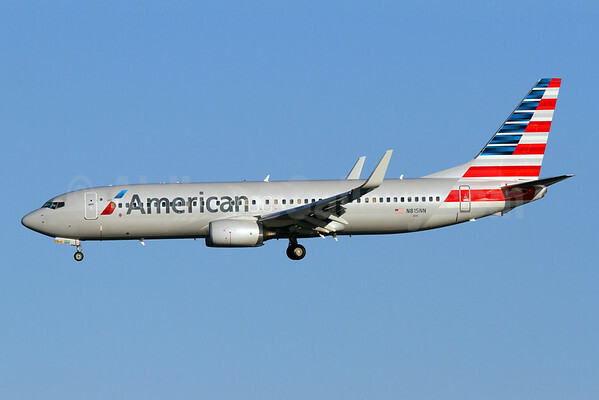 US Airways management is now running the “new American”. Copyright Photo: Brian McDonough/AirlinersGallery.com. Boeing 737-823 N815NN (msn 33208) completes its final approach from the south into Washington’s Reagan National Airport. This entry was posted in American Airlines and tagged 33208, 737, 737-800, 737-823, American Airlines, bereavement fares, Boeing, Boeing 737, Boeing 737-800, DCA, N815NN, Reagan National, US Airways, Washington on February 28, 2014 by Bruce Drum.